Who are the Haqqanis, Afghanistan´s most feared insurgents? ISLAMABAD: The rescue of an abducted US-Canadian family in Pakistan last week has spotlighted their captors the Haqqani network, former CIA assets now considered one of the most dangerous factions fighting US-led NATO forces in Afghanistan. Led by Sirajuddin Haqqani, who doubles as the Afghan Taliban´s deputy leader, the extremist group has been blamed for spectacular attacks across Afghanistan since after the US invasion. "When you hear US officials, including in private settings, talking about what worries them the most, they always talk about the Haqqanis," said analyst Michael Kugelman, of the Wilson Center in Washington. A fluent Arabic speaker, Jalaluddin also fostered close ties with Arab jihadists, including Osama Bin Laden, who flocked to the region during the war and later became a minister in the Taliban regime. They were blamed for the truck bomb deep in the heart of Kabul in May that killed around 150 people -- though Sirajuddin later denied the accusation in a rare audio message. That includes recently released Canadian Joshua Boyle, his American wife Caitlan Coleman, and their three children -- all born in captivity -- as well as US soldier Bowe Bergdahl, who was released in 2014. 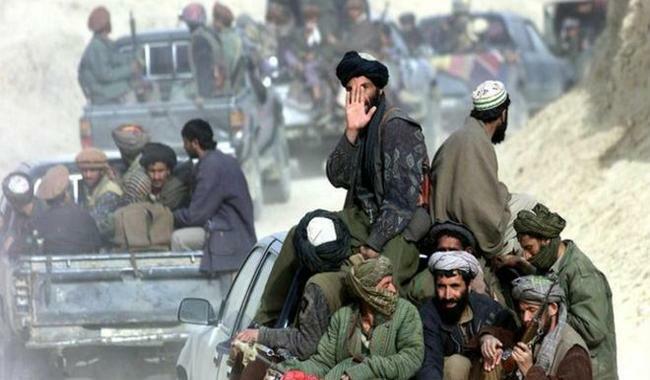 Following the US invasion of Afghanistan, Taliban fighters and Haqqanis flooded across the border into Pakistan, where they regrouped before launching an insurgency against the Americans. The US has launched repeated drone attacks targeting the group -- including one late Monday -- while Pakistan´s military has conducted successive clearing operations. Pakistan intensified a military operation in the area in 2014, however, and some militant sources say the pressure has forced many of the Haqqanis underground or over the border into their Afghan strongholds. What does the US want Pakistan to do? Washington has long pressured Pakistan to crack down on militant groups, with the Haqqanis a top priority. US President Donald Trump turned up the heat this summer when he accused Pakistan of playing a double game in Afghanistan and upbraided Islamabad for sheltering "agents of chaos". Islamabad has repeatedly denied the claims and accused Washington of ignoring the thousands of Pakistani lives lost in its struggle with militancy. The recovery of Boyle, Coleman, and their children came weeks later, with Pakistan using its role in securing their freedom to urge the US to trust it is doing its best. But, Pakistan´s desire for strategic depth aside, a crackdown on the Haqqanis might not be easy in a tribal society where social relations matter, warned Pakistani political analyst Imtiaz Gul. "You can´t simply pluck out somebody because they´ve gone politically incorrect," he said.